We have won multiple National and State Level awards for our innovation, patents, and export excellence. 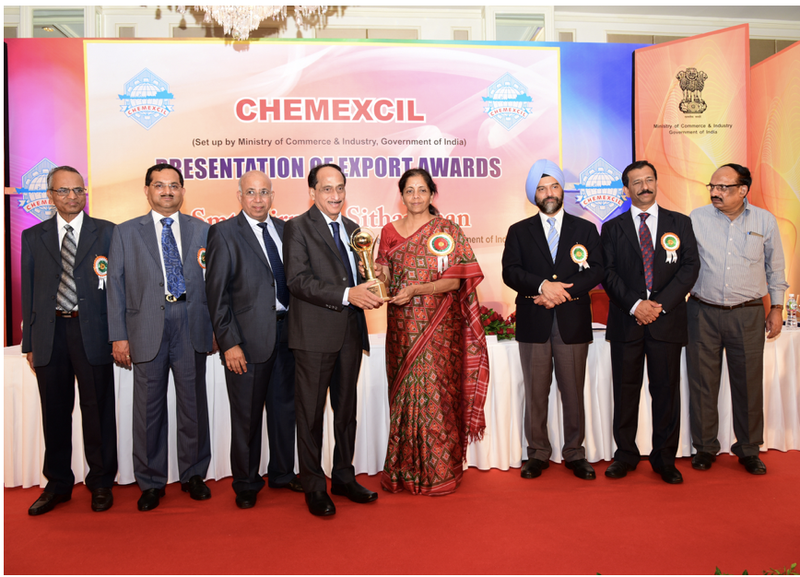 5-time Annual CHEMEXCIL Award winner for export excellence. 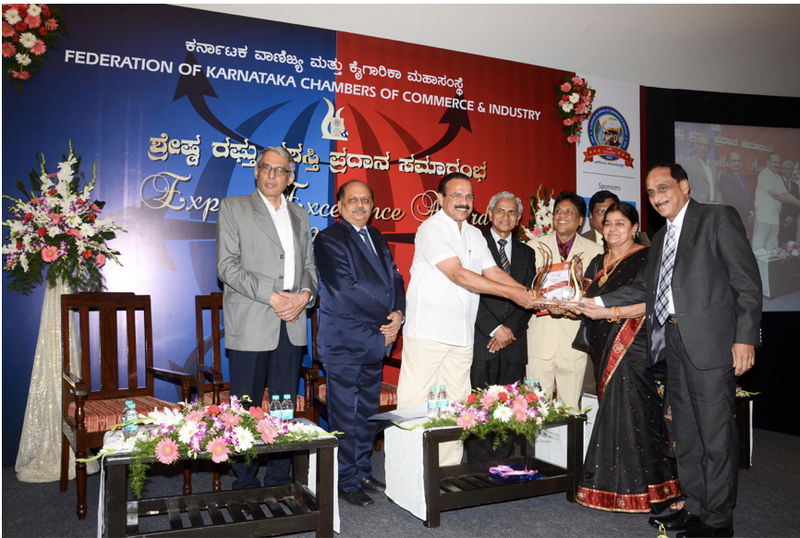 Karnataka State Export Excellence Award. Lifetime Achivement Award Bhavasar Kshatriya Mahila Mandal. Mr.R.Rajendran, CEO & Founder, Green Chem and Mrs.Kamala Rajendran, Head of R&D, Green Chem, receive the 2009-10 Pharmexcil Patents Award from Shri R.P. Meena, IPS, Director General, Drugs & Copyrights, Government of Andhra Pradesh and Shri B.P. Acharya, IAS Principal Secretary, Industries Development, during the Pharmexcil Global CEO Conclave on 24th September 2010 in Hyderabad, India. Mr.R.Rajendran, CEO & Founder, Green Chem along with Mrs.Kamala Rajendran, Head of R&D, Green Chem and Mr.Krishna Rajendran, Senior Manager, Green Chem receive the 2010-11 Pharmexcil Patents Award from Shri N.Kiran Kumar Reddy, Hon’ble Chief Minister of Andhra Pradesh in the valedictory function of India-LAC Pharma Business Meet on 30th September 2011 in Hyderabad, India. 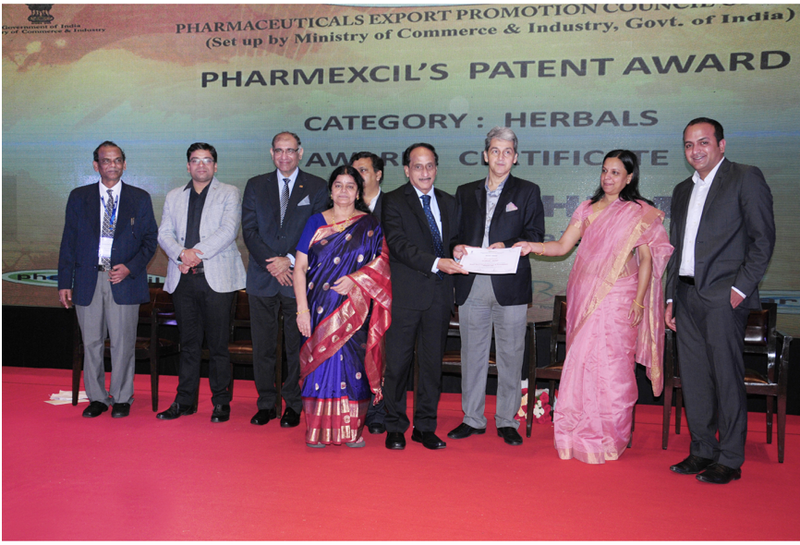 Mr.R.Rajendran, CEO & Founder, Green Chem along with Mrs.Kamala Rajendran, Head of R&D, Green Chem, Mr.Krishna Rajendran, Senior Manager, Green Chem and Mrs.Payal Sarda Rajendran receive the 2011-12 Pharmexcil Patents Award from Mr.N.R.Munjay, Chairman of Pharmexcil on 28th September 2012 in Hyderabad, India. Mr.R.Rajendran, CEO & Founder, Green Chem along with Mrs.Kamala Rajendran, Head of R&D, Green Chem, Mr.Ravi Rajendran, Senior Manager, Green Chem and Mrs.Payal Sarda Rajendran receive 2013-14 Pharmexcil Patents Award from Shri Rajeev Kher, IAS, Secretary, Department of Commerce, Government of India on 19th September 2014 at Park Hyatt, Hyderabad, India. Mr.R.Rajendran, CEO & Founder, Green Chem along with Mrs.Kamala Rajendran, Head of R&D, Green Chem, and Mr.Ravi Rajendran, Senior Manager -Manufacturing & Exports, Green Chem receive 2015-16 Pharmexcil Patents Award from Shri Sudhansh Pant, IAS, Joint Secretary, Department of Pharmaceuticals and Ms.Anice Joseph Chandra, Director, Department of Commerce, Government of India on 22nd September 2016 at Park Hyatt Hyderabad, India. Mr.R.Rajendran, CEO & Founder, Green Chem along with Mrs.Kamala Rajendran, Head of R&D, Green Chem and Mr.Krishna Rajendran, Senior Manager, Green Chem receive the 2012 FKCCI Export Excellence Award from Mr.Murugesh R. Nirani, Hon’ble Minister for Large & Medium Scale Industries, Karnataka, on 22nd June 2010 at Bangalore, India. Mr.R.Rajendran, CEO & Founder, Green Chem along with Mrs.Kamala Rajendran, Head of R&D, Green Chem, Mr.Ravi Rajendran, Senior Manager, Green Chem and Mrs.Payal Sarda Rajendran receive 2014 FKCCI’s National Award for Innovation Excellence from Mr.Kalraj Mishra, Hon’ble minister for MSMEs, Government of India, on 17th June 2014 in Bangalore, India. Mr.R.Rajendran, CEO & Founder, Green Chem along with Mrs.Kamala Rajendran, Head of R&D, Green Chem receive the 2015 FKCCI Gold Export Excellence Award from Shri Sadananda Gowda, Hon’ble Union Minister of Law & Justice, Government of India, on 13th June 2015 at Lalit Ashok, Bangalore, India. 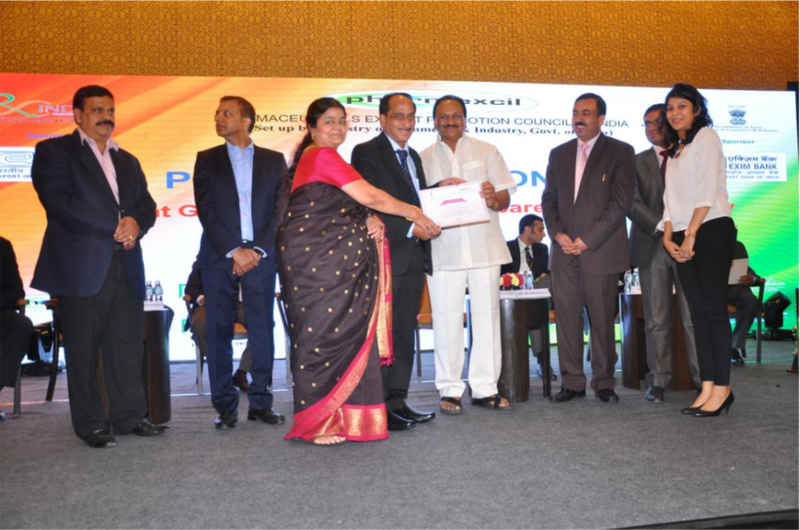 Mr.R.Rajendran, CEO & Founder, Green Chem along with Mrs.Kamala Rajendran, Head of R&D, Green Chem receive the 2015 FKCCI Innovation Excellence Award from Shri S.R.Patil, Minister of Infrastructure, Information Technology, Bio-technology, Science & Technology, Planning and Statistics, Government of Karnataka on 17th June 2015 at The Ritz-Carlton, Bangalore, India. Mr.R.Rajendran, CEO & Founder, Green Chem along with Mrs.Kamala Rajendran, Head of R&D, Green Chem receive the 2016 FKCCI Export Excellence Award from Shri T.N. Manoharan, Chairman, Canara Bank and Mr. Tallam R Dwarakanath, President, FKCCI , on 22nd June 2016 at Lalit Ashok, Bangalore, India. Mr.R.Rajendran, CEO & Founder, Green Chem along with Mrs.Kamala Rajendran, Mr.Ravi Rajendran and Mrs.Payal Sarda Rajendran receive the 2017 FKCCI Export Excellence Gold Award from Shri D.V.Prasad, IAS, Additional Chief Secretary, Commerce & Industries Dept, Govt. of Karnatakaand Mr. C.Dinesh, President, FKCCI , on 20th June 2017 at Sir M V Auditorium,FKCCI, Bangalore, India. Mr.R.Rajendran, CEO & Founder, Green Chem receive an award of appreciation for serving as a Jury member at the 2017 FKCCI Innovation Excellence Awards from Shri D.V.Prasad, IAS, Additional Chief Secretary, Commerce & Industries Dept, Govt. of Karnataka on 23rd June 2017 at Sir M V Auditorium, FKCCI, Bangalore, India. Mr.R.Rajendran, CEO & Founder, Green Chem, receives the Chemexcil Best Exports Award from Mr.Anand Sharma, Minister of Commerce, Industry & Textile, Government of India and Mr.Anup Pujari, IAS Director General of Foreign Trade, Government of India at the Chemexcil Export Awards function on 30th August 2013 in Mumbai, India. The Rajendran family receives three National awards (1) Gold Award for outstanding export performance for the year 2014-15; (2) First Award for outstanding export performance for the year 2013-14; (3) Certificate of Merit for outstanding export performance for the year 2011-12 from Smt. Nirmala Sitharaman, Hon’ble Minister of State (Independent Charge) Commerce and Industry, Government of India at the Chemexcil Export Awards function on 8th February 2016 at Hotel Trident, Mumbai. Mr.R.Rajendran, CEO & Founder, Green Chem and Mrs.Kamala Rajendran, Head of Sales & Factory Operations, Green Chem, receive the Award of Excellency 2015-16 from Smt. Nirmala Sitharaman, Hon’ble Minister of State (Independent Charge) Commerce and Industry, Government of India at the Chemexcil Export Awards function on 24th March 2017 at Hotel Sahara Star, Mumbai. 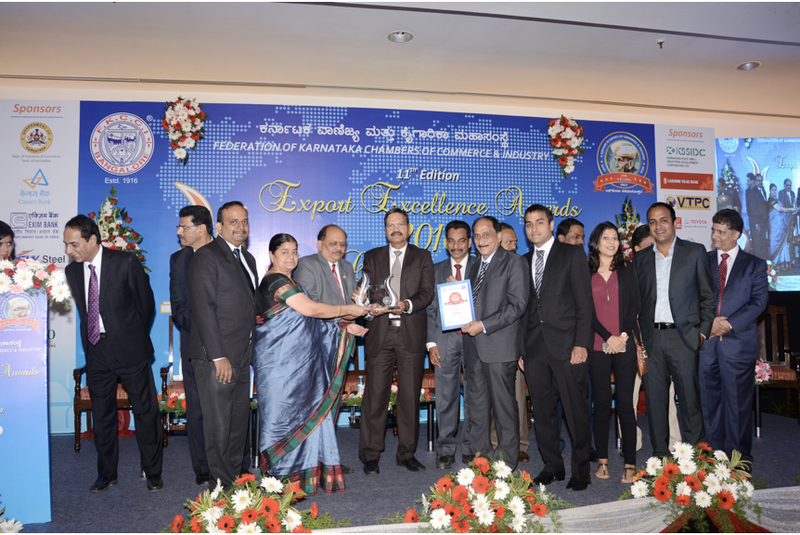 Mr.R.Rajendran, CEO & Founder, Green Chem along with Mrs.Kamala Rajendran, Head of R&D, Green Chem, Mr.Krishna Rajendran, Senior Manager, Green Chem, Mr.Ravi Rajendran, Senior Manager, Green Chem and Mrs.Payal Sarda Rajendran receive the Karnataka State Export Excellence Gold Award from Shri Siddaramaiah, Chief Minister of Karnataka, on 18th March 2015 at Vidhana Soudha, Bangalore, India. Mrs.Kamala Rajendran, Head of Sales & Factory Operations, Green Chem receives a Lifetime Achievement Award for her invaluable technical contributions in the field of herbal science at the 60th Diamond Jubilee Celebration of Bhavasar Kshatriya Mahila Mandal on 15th July 2017.